We are committed to excellence in research and development. Currently, we are engaged in a variety of different research activities with a focus on different strands of research. Some of these projects are realized in collaboration with partner institutions. 1) Signed language acquisition: The Receptive Skills Test has been adapted into different sign languages. The test results, as well as background information about the test participants, are saved in an anonymous database. Provided permission has been granted by the parents/legal guardians of the children tested, these data can be used to analyze the development/acquisition of comprehension in deaf children (cross-sectional or longitudinal) by aggregating data sets over a longer period of time. Alternatively, acquisition in deaf children can be investigated across languages (e.g. 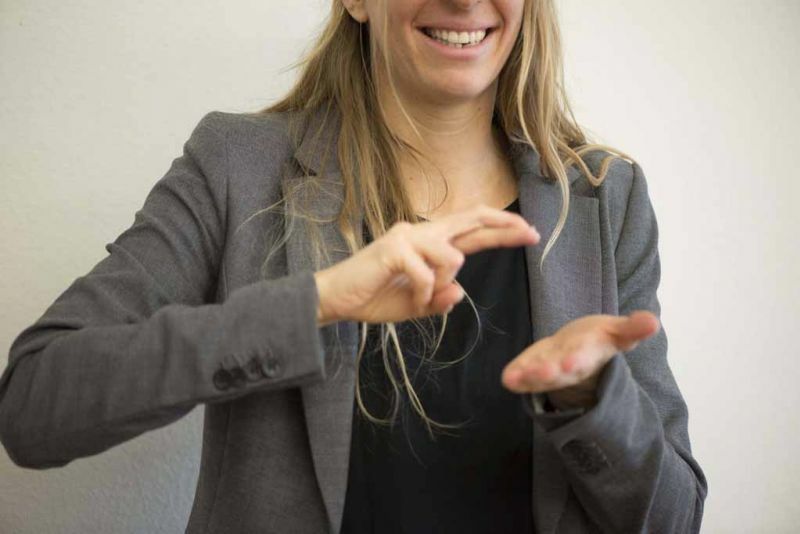 between British, American, and German Sign Languages) or relative to specific variables of interest, such as age of acquisition or languages used in the child’s environment. This project is realized in collaboration with Rosalind Herman, City University London, and Bencie Woll, University College London. 2) Data repository for signed language research: The database of the Receptive Skills Test offers the opportunity for researchers to get access to data for their research projects. This project is realized in collaboration with Rosalind Herman, City University London, and Bencie Woll, University College London. 3) Development of procedures and assessments to evaluate the signed language development of different groups of learners, such as deaf children or adults acquiring a sign language at a later age. 4) Usability studies of web-based signed language assessment with different groups of end users, for example, in collaboration with Bencie Woll, University College London, and Rosalind Herman, City University London. 5) Investigating avatar technology in web-based signed language tests. 6) Research and development of computer-/mobile-assisted signed language testing, for example addressing different task types or response formats.